Top ten list w.r.t. analog IC design. I’m a bit tired of pictures of football stars, politicians, and similar being identified as iconic, epic, etc. Yes, of course they are iconic: Reagan tears down walls and Kennedy lives in Berlin, etc. However, let’s go nerd and embrace ourselves and our community. Here is my top ten list of cool group (arguably “group” for some of them) photos (arguably “photo” for one of them). But yet. Just imagine to stand there in the picture and the guy next to you is a Nobel prize winner, and the guy to your left and behind you. You’re a millionaire, but it does not matter, because the other guy is a billionaire, etc. I think you get the picture. Behold: the top ten coolest group pictures of all time. And as usual – I do not claim any copyright on these pictures and I am also referring to the “original” source to the best of my knowledge and also credit them below the picture. There is no special order of appearance. We will start a bit slowly with the glimpse in the eye. However, people tend to forget Xerox from which – ironically – a lot of people copied technology… The mouse, the desktop publishing, and other things. For us in electronics engineering, we also remember Lynn Conway coming from the Xerox Parc facilities in Palo Alto. The Mead Conway revolution enabled a simplified understanding and option to fabricate chip for the “common-man”. In the center of the picture we have the hero of the group. The Xerox Alto machine, developed at the Xerox PARC, was one of the first computers to introduce the concept of a Desktop. The personal computer enters the world and we see computers with GUI and children are playing with the computer. No comments needed really? 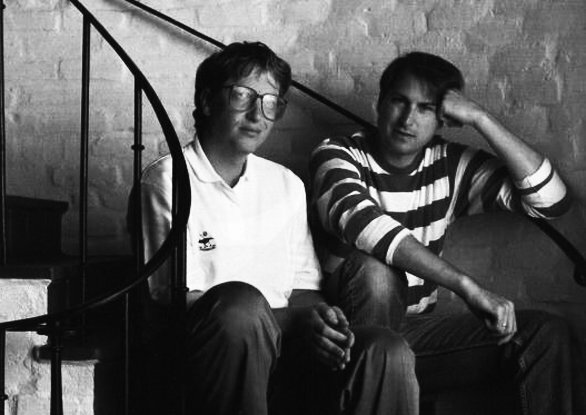 The founders of Microsoft and Apple, a couple of future-to-be billionaires and philanthropists chilling in the stairs. This photo is taken in 1991 – a year when a 386 was da sh1t and the power-PC was discussed. Notice that during this time Jobs did not work for/with Apple. Instead, after he was kicked out in the mid 80’s, he founded the NeXT company. And as they chat, Jobs is not necessarily that future-to-be big guy. Notice that the operating system that he developed at NeXT (which was based on UNIX)later formed the basis of OS X, iOS and others. Even though we are today only some 30, 40 years into the computer era, is it fair enough to say that this is an iconic group photo? Well, I think it is. It shows that software is this the thing and it shows that design is also very important. 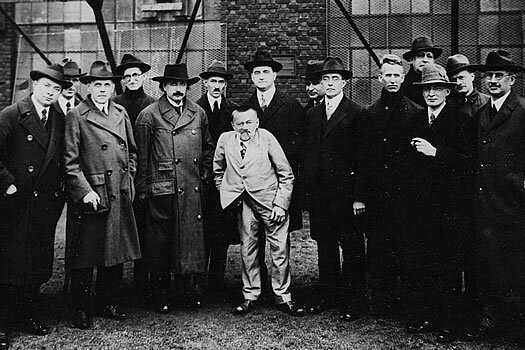 Bell, Ford, and Firestone are gathered around the American president in 1929. Why is this an iconic picture? (Bar the fact that everyone, but the president actually, are really, really famous). Well, we have a car manufacturer, a tyre and rubber manufacturer, and an electrical engineer (and inventor and much more). These people were among the most famous business men in the US at their time. They were also members of the exclusive Millionaire’s club. The interesting thing: Edison brought us the light bulb and other things. Mainstream electrical engineering becomes part of the new industrialization – equally important as cars and wheels. This picture is quite energetic. Not only brain power, but also electrical power is seen in the picture. Marconi is not in picture – in person. The people are however standing in front of a Marconi wireless station. The guy with the cowboy hat is a certain Prof. Einstein. The guy behind Einstein, to the right (for us), is not Nikola Tesla. (There have been some rumours about this picture). But since John Carson, the guy, is the inventor of single-sideband modulation (SSB) and looks quite much like the Serb, we will play with that thought for npw. More to the right, in the white suit, is Steinmetz. He was quite a prolific character of German descent. He took the name Proteus at arrival in America and then continued his career by contributing to the AC theory. There are some other famous people in the picture! For example Ernst Julius Berg – from Sweden. He has authored quite a few nice text books on electrical engineering that I plan to read some day. The soon more than 100 years old books are also available on-line. There are more people in the picture that you probably remember somewhere in the back of your head: Goldsmith, Sarnoff, and Langmuir (Nobel laurate). There is also Hull, the inventor of the magnetron among other things. This is a back-stage photo. It is the “green room” for the ground personnel (probably there is a NASA abbreviation for that…) supporting the astronauts traveling to the moon during the Apollo 11 mission. During the missions these guys were the ones pulling the threads and making things happen. These are the ones helping you to macgyver an air filter in space in case you would have a problem. We have a set of engineers with neck ties and characteristic 1960s glasses. They are roughly your grandfather’s age. Monitors on the wall also offer not only information on display, but act also as coat hangers and places for the umbrellas. To the right we have von Neumann. He’s quite easy to identify for us. The fifth from the left is Robert Oppenheimer, the physicist known from the Manhattan project and one of the inventors of the atom bomb. “Despite” his German name, Oppenheimer was actually born in the US. He studied in Europe, during his Ph.D. studies, together with some of the greatest minds during that time. An interesting note: von Neumann worked at his best when listening to loud music (especially German march music…) and being in noisy enviroments. This annoyed his colleagues quite much. Oppenheimer ended up in the post-war anti-communist American age of fear and got discredited. (But pardoned by Kennedy in 1963 when Oppenheimer was awared the Enrico Fermi Award. Interestingly the Award was first given to von Neumann in 1956 which further links the two.). Go out and save the world! Below we find a group photo from the Bletchley park. It seems to be a sunny day in England and a set of codebreakers seem to enjoy standing there to be prepared to save the world. If you are an imperial super power, rule over some 75% per cent of land and where the sun never sets then you better have some control over your colonies. There are stories of England being defeated in battles just because it took 40 (!) days to carry the messages back to London. This could not stand. Morse proved that long distance telegraphy could be done across the US continent. And if it can be on land, why not under the sea? Why not pull a cable 2200 miles (3000 km, or going from the southern tip of Sweden to its northern tip – and back again) across the atlantic and then send messages that way. In 1858 that sounded like a good idea, just before the North American civil war. So, off we go. Construct a 2200-odd mile long cable and gently drop it on the sea bed. (Gently was the key word, since the cable snapped quite a few times while placing it). The depth at the deepest places was as much as 14300 feet, 4400 metres. Pulling a cable across a 4400 metre high mountain on-land would in it self be an achievement. Anyway, the cable arrived in the end to the other continent and the first messages could be transmitted on August 16, 1858. It was a message from the queen to the US president. It took 17 hours to transmit – at a fantastic speed of 0.1 words per minute. Just imagine the frustration while hitting the key. The cable did not last long since one of the operators came up with the master plan to increase the voltage to speed up the messages a bit. The cable burnt up somewhere on the ocean border. The voltage, btw was in the order of kilovolts, and the resistance was a total of kilo-ohms. The current return path was through the ocean itself (and earth). In the picture below (it is not a photo, it is a painting. And a very staged one too: even the painter is in the far background of the picture – but still…), we have among others Mr. Morse (Morse code, anyone?). A bunch of long-bearded guys with the mindset to connect the world (and make some money on the deal). Cyrus Field, even though he connected the continents, however, ended up in bancruptcy at the end of his life. These guys we shouldn’t forget either. They are the traitorous eight leaving Shockley “alone” in his lab. They are chilling in the foyer of the Fairchild Semiconductor venue. The photo is taken in the 1950’s. The men have slick glasses, neck ties, and suits. Back then this was the standard equipment for engineers. No pocket protectors nor repaired glasses. Anwyay, here they are gathered and prepared to revolutionize the world and probably change it forever. Speeding up the process of microelectronics engineering has today brought us more or less everything younger than 30 years that we see around us. Among others in the picture we find Robert Noyce (who effectively founded the Silicon Valley), Jean Hoerni, and Gordon Moore. Knowledgeable people that have influenced us all. In the front row, we have a lady who slipped into the picture to marinate in the sun together with all the professors and gentlemen. Is she there just to get some attention? Well, this is Marie Curie… She attended all of the Solvay conferences until her death. And she got the Nobel Prize too – twice! That’s more than the others got. She simply rockxz. (More than half of the people in the picture have got or will get the Nobel Prize). During the Solvay conference in 1927 electrons and photons were discussed. Einstein stated his famous quote when discussing the Heisenberg uncertainty principle: “God does not play dice”. Besides Einstein and Curie, we have again Langmuir but also Planck, Lorentz, Bohr, Dirac, Schrödinger, Pauli, and Heisenberg. Quite a team! Consider a modern, mobile phone and all that’s inside it: electronics, touch screens, computer-in-your-palm, internet connection, games, gadgets, sensors, etc. In this post I have dug up some older patents/publications/products with respect to all these things in the phone – but were already out there – quite a while ago – in some form. Now, some of these examples are up to a discussion, of course. There is even older, prior art here and there, and there are also certain inventions that (p)laymen could have realized quite easily and thus the origin could be discussed. One can also argue about terms like electrical vs electronic vs electro-mechanical, but let us leave that discussion for now. Filters are key components in most circuits and systems. Filtering out noise, interferers, select channels, etc. So, when was the first electrical filter used? 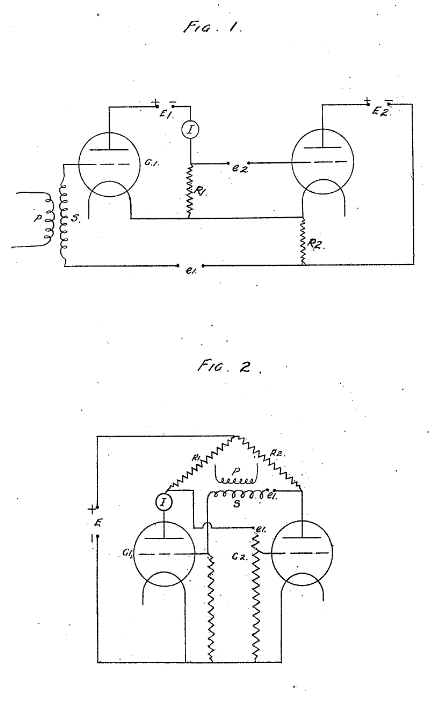 Quite long time ago and probably even before Doctor George Campbell at the AT&T published his two patents on electric filters in 1915. He proposed in patent US1227113 the electric wafe-filter consisting of the ladder networks that are so widely used today. 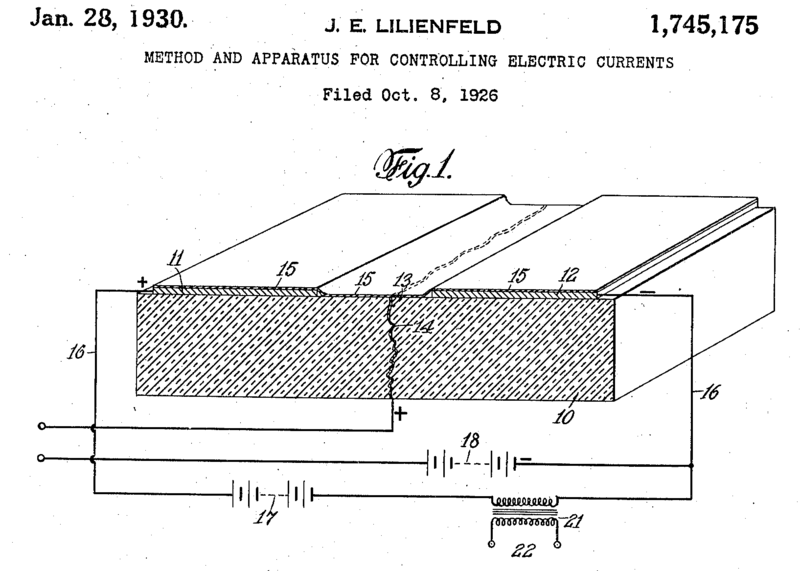 In patent US1227114 he proposed the filter as a way to protect equipment by filtering out components at different frequencies. 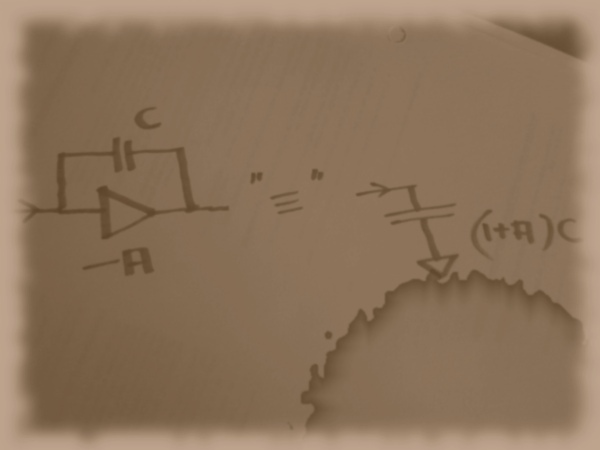 So, back in 1918, the researchers realized that they could take a set of “ionic relays” and connect them such that they can remember previous states they have been in. You can read the original patent and find a picture like this. Here we find more or less a regenerative latch, a flip-flop, invented by FW Jordan and WH Eccles. Mr. Eccles did quite a lot of other things too with respect to early electronics. I encourage you to do a bit of researching there. I am putting the Miller effect into the picture here as it is kind of crucial for analog design, especially amplifier design. It is not an invention as such, but rather a pretty direct conclusion from the maths given that we have a set of stages that provide gain. The Miller effect states that capacitance is amplified by (approximately) the raw gain of the stage over which the capacitance is connected. This is for good and bad. It can be used to efficiently compensate a system to improve phase margin, but it will also inevitably increase the effect of (undesired) capacitive components. The concept is valid for any impedance/admittance, but a resistance/inductance would decrease by the gain instead. For inductors and resistors the use is perhaps of less interest, whereas area can be saved for capacitors as it effectively multiplies the capacitance. John Milton Miller published material in 1920 on this effect, but then using vacuum tubes rather than transistors. Another important building block in your electronic devices is the phase-locked loop (PLL). 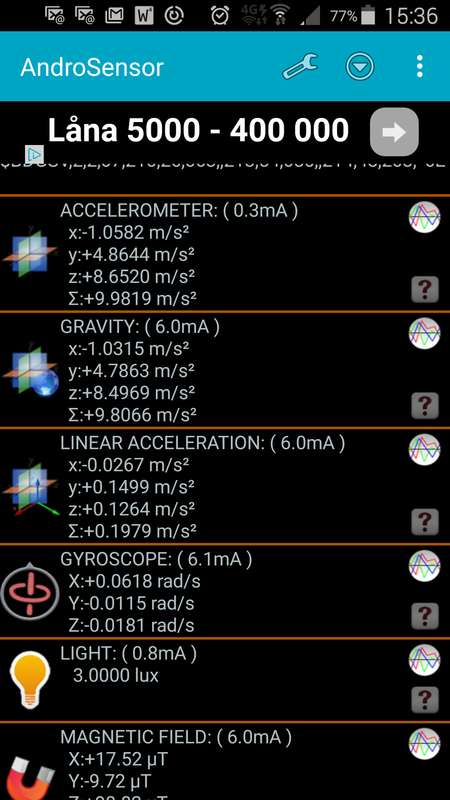 It allows you to adjust, or multiply, or divide, what have you, a frequency or a clock. Dependent on the accuracy of the hardware you can transform one frequency into more or less any other. This is of course useful in modern systems where you want to minimize the number of reference clocks to a single one and then, from that, derive all other internal frequencies required to drive the radio, display, microcontroller, CPU, GPU circuits, and many more. So, when did the first PLL pop up? In 1921 the amazingly accurate Shortt synchronome clock (it was accurate to 1 second within 12 years of ticking!). 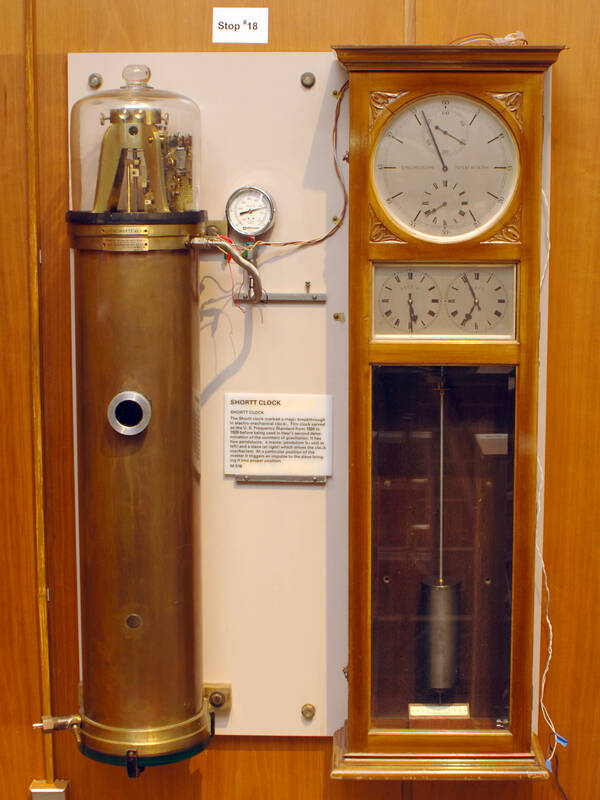 It used a reference clock at lower speed to tune the main clock and by adding a little push or a gentle stop on the main pendelum (similar to a charge pump after the phase detector!) it adjusted the main clock. 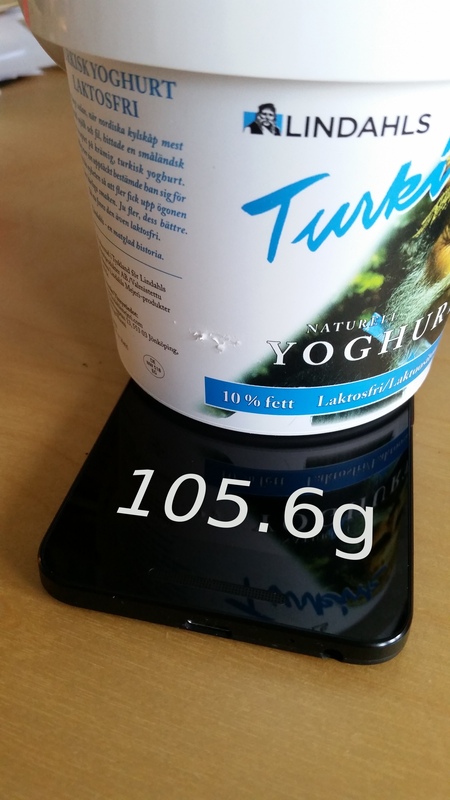 So, a more accurate lower-speed clock could be used to tune a higher-speed one. Beautiful. 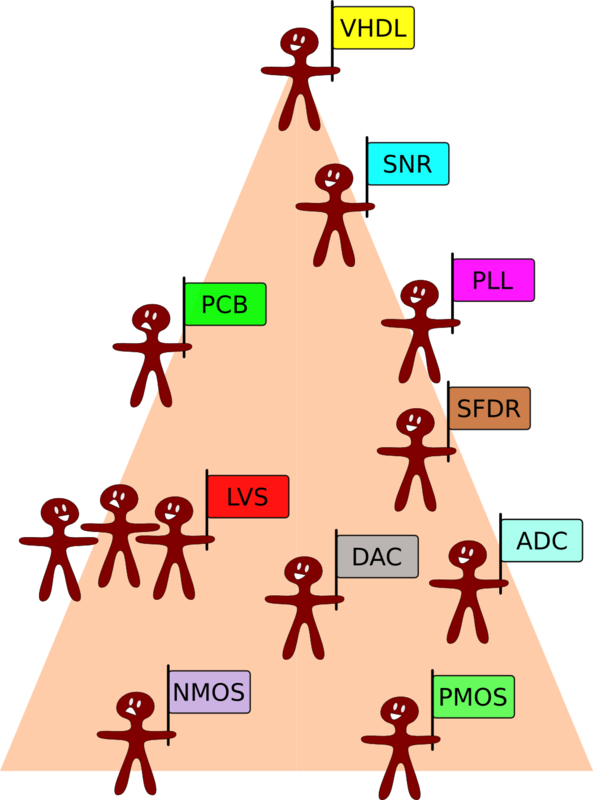 The field-effect transistor, more or less the father (or mother …) of all CMOS transistor we see today in the microchips we remember from Shockley’s work, etc. But actually, the FET was patented some 20 years (!) before that by Julius Edgar Lilienfeld. By then, however, the material science had not advanced enough to make it possible to physically implement them. This was the advance by Shockley and the traitorous eight. And the rest is history. 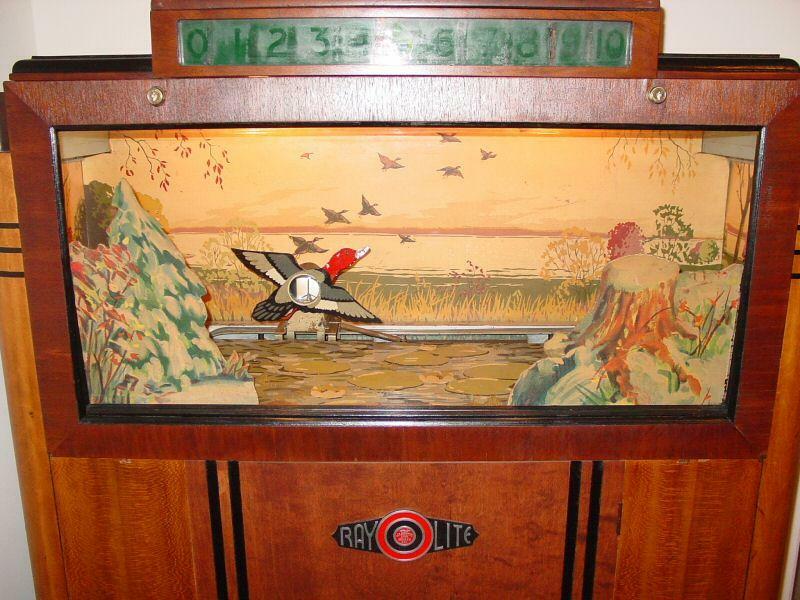 Did you know that the first electrical/electronic arcade game showed up already in 1936? It was was called ray-o-lite and was produced by a company called Seeburg. In the game you shot down ducks with a light gun (well, a rifle). 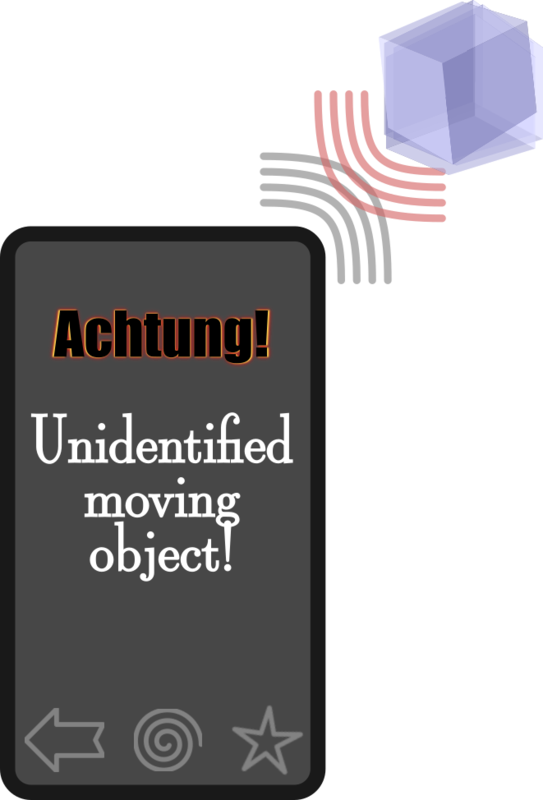 A mechanical bird “flew” over the arcade carrying a light sensor. Light would be emitted once you pull the trigger on the rifle and if you aimed correctly, the light detector tube on the bird would trigger and eventually alarm a bell. I have below borrowed a picture from Pinrepair which shows the duck on its way as well as a counter on the tap. Visit their page for more information. Now, a definition “computer” is a bit vague and there are older computing machines as such. The first computer is traditionally said to be the ENIAC computer, but since 1973 it was decided that the patent for an electronic computer went to the inventors of the Atanasoff–Berry computer (ABC) and not the inventors of ENIAC (who filed a patent after the ABC was finalized in 1942). It is now 72 years since the ABC was first operational and in the 90’s they built a replica of the computer and is on display. See below. 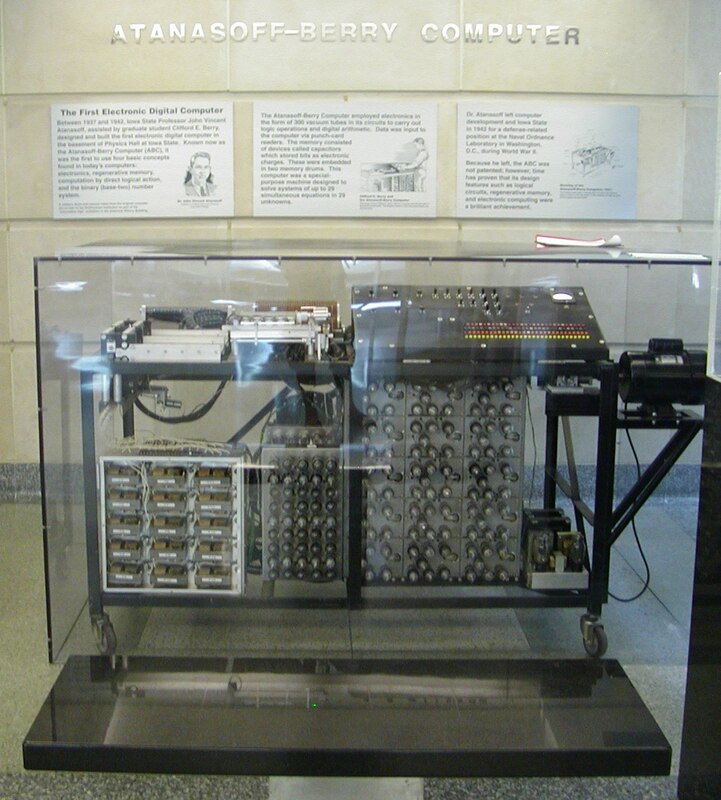 As a side note, the ENIAC was based on decimal arithmetic, while the ABC was binary. A while ago, the CERN touch sensor was highlighted in media (maybe due to a 30-year anniversary). 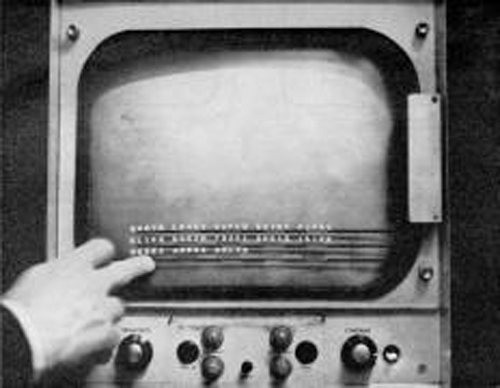 However, dependent on the definition of a touch screen and touch buttons, etc., the common opinion is however that the first touch screen was suggested (and implemented) by E.A. Johnson in the UK. It used a capacitive technology and enabled touching on different parts of the screen. Speaking of user interfaces. This is a rather cool one: the Pantomation was a product out of research done at the SUNY in the latter half of the 1970s. With the aid of a camera and a computer they used indicators (of distinct color) that you kept in your palm, or strapped on to your feet, or where ever. 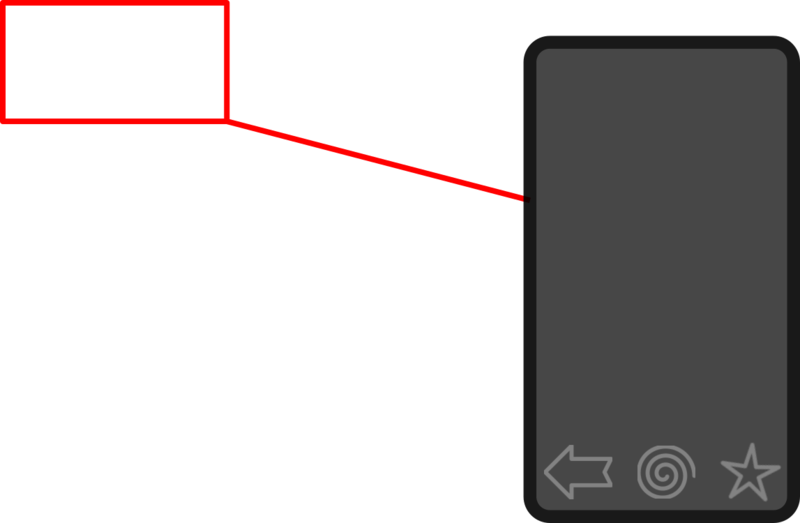 The computer could then track the objects and on the screen overlay with artifical, CGI objects – in real-time. This predates the xBox and play stations by quite a few years. Apparently it was first used for the music arena and musicians. I bet that Kraftwerk would have been interested in this one. The movie tells the whole story quite well and I guess it is just a question of time before we see this in our phones too. With swish, mobile banking, and what have you in your phone today, we are now starting to effectively replace cash and credit cards and instead do payments on-line. But when did we do our first mobile banking or payments? 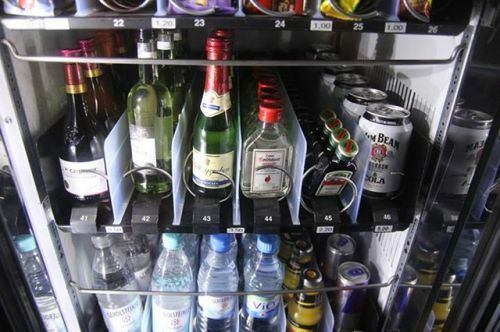 These services were first offered in Finland in vending machines (Note, it was Coca-Cola, not alcohol!). The payment was done through SMS. In some sense impressive, since the first commercial SMS was sent in 1992. Interestingly, as late as in 2011, this was still considered an innovation. Today is fettisdagen, Shrove Tuesday. Time to boost your fat layer before lent. Easter is approaching! Old traditions here in Sweden (and Finland, apparently) call for eating a lot of unhealthy things to be able to endure the last batch of Winter days filled with cold and misery. So let’s get to the point. Here is my top eight list of semlas and the first entry will start the story. You will find semlas for everyone’s taste – almost. In order to follow the recipes more easily, I have also added some illustrative pictures (sketches). 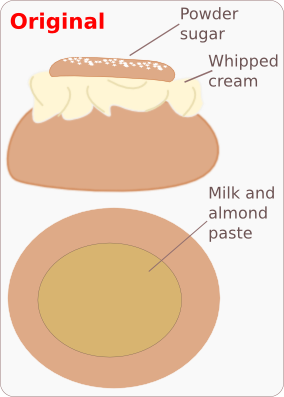 The original semla consists of whipped cream, almond paste, all stuffed in a piece of bread – sort of. So this forms the template for the rest of the semlas. 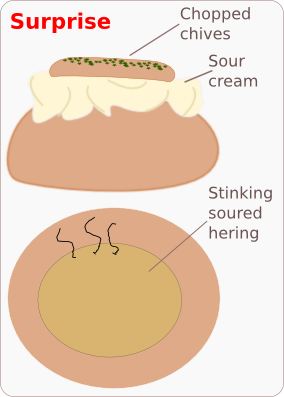 Do a so called Gubbröra, chop your herring, mix with sour cream, onions, spices, and stuff your dough with it. For this, probably the sweet bread does not make sense. Pick a normal roll – don’t use a too heavy bread, but also not too light. It should be lagom, just about right. You could use some darker bread for the purpose. Rye, or so. Spray with sour cream and top the semla with flaked salt. Another upcomer in Swedish (?) cuisine is the Tex Mex, the tacos, etc. A Mexican or a Texan would probably laugh at our pity trials with minced beef and taco spices, and tortillas, but still – most Fridays, Swedes sit there and stuff them self full with “Mexican” food. 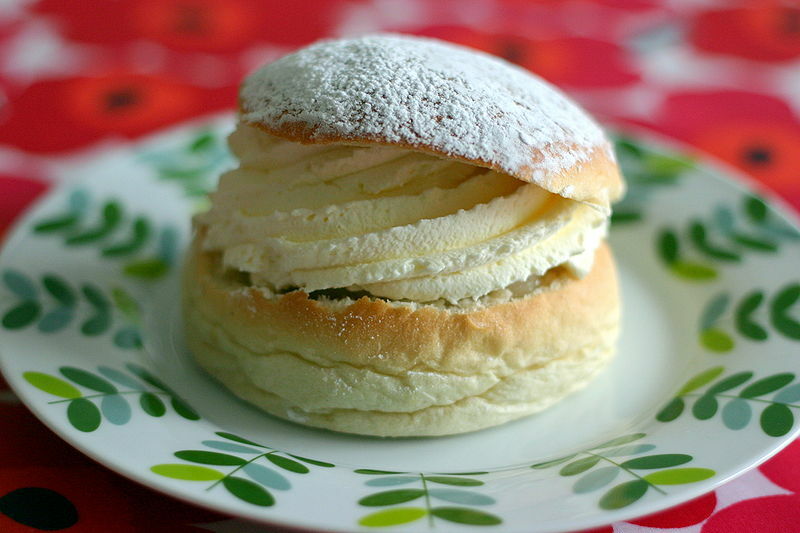 I definitely vote for the tacosemla – it could be an all-time favorite. 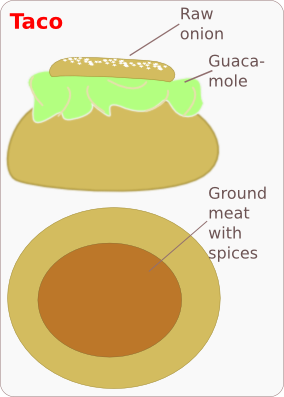 Fry up some ground meat with Taco/TexMex/what-have-you spices. Don’t make it too soggy, but not too dry either. Then spray guacamole (the mashed avocados) on top and put the lid on. Top it all up with raw onion and/or all-spice. Why not take a bread baked with corn flour? A bit yellow-ish and more resilient. In Sweden we have a tradition of celebrating Lucia, on December 13, i.e., Saint Lucy’s day. Think singing people, walking in procession, white robes, candles, etc. (No, not those guys!). Those days, lussebröd and mulled wine, etc., are also served. Think saffron, raisins, cardemom, exotic (for us) spices and more. A highlight in the beginning of Swedish Winter. So, use saffron in the dough (will become yellow and smell nice). Then you could take raisins in mulled wine and mix them slightly. Preferably chop the raisins rather than mixing them. Stuff your semla with it. Then top with whipped cream before you put the lid on. Dust some cinnamon on top. Ok, so this is for the freaks. Why not go wild and impress your partner with a semla tartare. Inspired by the Steak tartare. Take a slightly more robust bread, chop the lid of, and remove the center. Stuff it with raw, minced meat of nice cut. Let it be a bit bloody, such that the bread can soak it up a bit for those flavours to come out. Take an egg, separate the yolk from white. 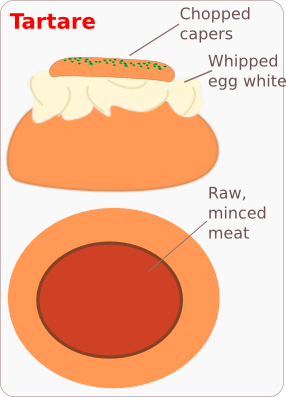 Put the yolk on the raw meat and whip the egg white and put on top. Then add the lid with some sprinkled, chopped capers on top. Don’t leave it out in room temperature for too long. It might crawl away after a while. An homage to our Indian students and colleagues. 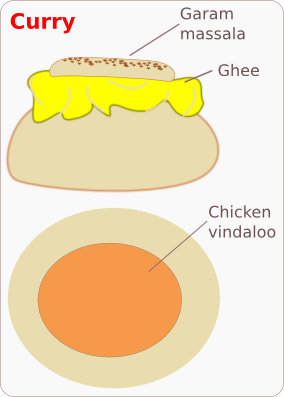 Why not think semla – Indian style? Curry semla, anyone? Take a naan-type of bread and try to make some kind of bun out of it. (Good luck trying to get it to stick to the walls of that special clay oven they use). Don’t burn off all your hair on your arms… Get the bun out, open it, fill it with chicken vindaloo. On top of that, take some Ghee and whip it up to get some air into it. Put it on top of the chicken mess and then close the lid by eventually powdering some Garam Masala on top. We need to make the children happy too. The Falu semla would consist of the famous Falukorv. 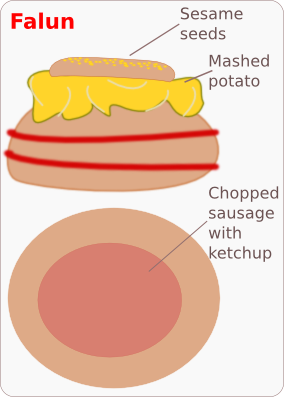 Chop it up and mix it with ketchup and possibly some mustard – not too much! Children normally shun mustard. Then think hamburger bread as a substitute for the sweat dough. I would suggest building a small “silo” with a couple of hamburger breads with holes cut out of them. Glue the layers with ketchup. Stuff it with the Falu thingie. Put mashed potato on top and then the lid with the sesame seeds forming the top layer. I bet you that the children would love to do this. Save the best for last, and possibly inspired by one of the others above. 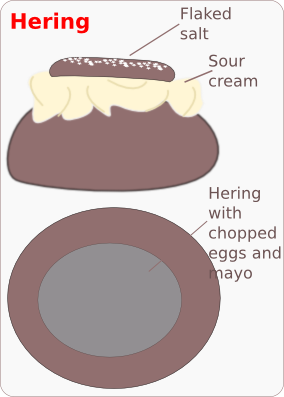 Here, in Sweden, people tend to – for some odd reason – eat fermented hering. I’m thinking of going all in with the Semla Surprise. Take the bun, throw the stuff in the middle away, fill it with stinking, rotted, fermented hering. Top it up with sour cream, put the lid on –QUICKLY- and sprinkle chopped chives on the top. Serve, as fast as possible and get the stuff out of the kitchen ASAP! Enjoy? But seriously, what’s wrong with these guys (bar that they want to eat crisps with soured hering). Over the years I receive quite a few CV’s, both as an employer, but also as a representative of the university accepting master thesis students, interns, and Ph.D. students. I also write quite a few reference and recommendation letters. I looked in the database recently: and there were some 70 letters for reference/recommendation/visa extension, etc. While thinking about it, some of the applicants’ email need some … improvements, to at least look a bit more appealing. (And no, I am not saying that there are billion of people wanting to get to Linköping University to study and work. But, just some of my tips and observations. from which I’ve kind of high-jacked the title from this post. Some of the bullets I add below also touch upon the bullets listed in the references above. Anyways, to “help” me be able to trash less amount of emails less quickly. Here are some tips wrt. CVs for a position in electronics. My name is J Jacob Wikner. 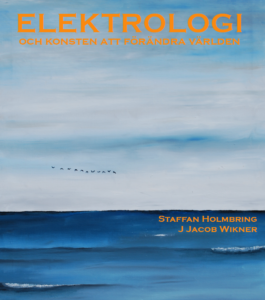 There are some four Jacob Wikner’s in Sweden (in the World?). 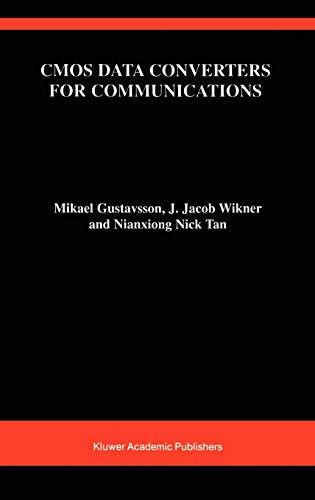 At one point three of us worked within the Ericsson cooperation. I continued to emphasize the J there to distinguish us a bit (albeit they spell Jacob with a k, as in knowledge). If you would send a letter to an employer, use the right name and right title. That’s always a good start. It shows that you have oriented yourself well. However, make sure to replace all the blanks and not leave the affiliation or research topic of the previous employer you sent to. When you list your courses and programmes that you have attended you have to be more specific. A “Basic Course in Electronics” is a very vague description and you need to be more elaborate on the courses, or at least give an appendix or reference for us to look in. Or even better, check out our course pages, or product pages of the company, and relate to them in your application. This shows that you understand the needs and requirements of your future employer. From the homepages of your professor, you will see what courses he is teaching. Find which you have taken at your Alma Mater and relate them to his/her teaching. It does not matter how good grades you present. I can not translate them to Swedish anyway. The vice versa is the same. Heck, not even between countries in Europe the grades are interchangeable – not even after Bologna. Give a quick guide on how your grading systems work. 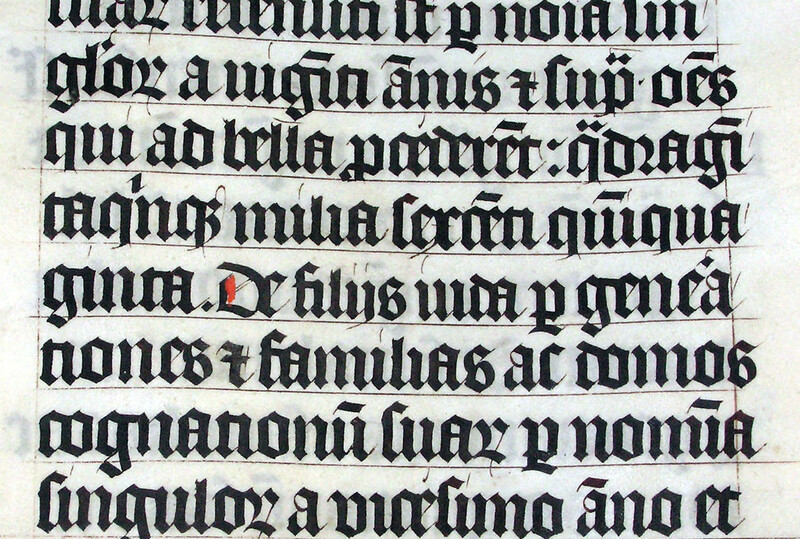 There are translation tables out there. Possibly relate to the grading system of the recipient. 5. Spell check, grammar check, etc, etc. Good old story. Make sure that you spell check and have all grammar in place. An Englishman would probably find a lot of issues in my text here, I am not claiming to be an expert. However, at least run the grammar checker and give it a shot. After all, you look for a position in a foreign country. It is tempting to add all possible tools that you have touched upon during your education. But unfortunately, some courses in analog design does not make you an expert in Cadence’ analog suite. Be more modest. If you have indeed worked 6 months extensively with the tools and really dug deep into the functionality of the tool, then it’s a nother story – then promote that instead. And by the way: Excel, Word, Powerpoint are not valid tools to put in a CV. I guarantee that you only use some 3% of the features in those tools. Remove them from the list. If you have done word processing, technical writing, desktop publishing, then it is another story. 7. Do not list every single possible programming language on earth for the same reason as in 6. We/the employer know the similarities between them. Bring forward the languages you are strong in and refer to some kind of project where the qualities can be judged. If you apply for a position in Electronics, look at what’s needed today in the field of electronics. Pages like these might help you orient yourself a bit. BTW: Here is my list of four languagebatches you should know: verilog/VHDL, skill/lisp/tcl, python/perl, c/c++. Then for some pretty-printing, etc., presentation of results and more: html/php/js. Something like that. Now, I can relate to the project, and most likely also know what type of code you wrote. Do not drop any famous professor names, nor universities, nor groups, unless the employer already knows them. Do not drop any names that are not in your reference list either. It does not necessarily help your application that you just have studied at a renowned university. In the first letters, do not demand too much, don’t make the letter sound as if we should provide you with a position just because you’re so good. Be a bit more humble and perhaps point at some gaps where you would fit well. Do the homework and make yourself useful in your possibly new organization. Btw, do you know! I am quite good at whistling through my ears! It is a great way of attracting wild animals. Just recently I joined as a mentor in a new course in “Ingenjörsprofessionalism” which deals with the professionalism of an engineer. Essentially we will prepare the students to become more skilled in “soft skills” and more prepared to interact with other people. Today we had a stimulating one-day seminar held by SAAB Combitech and we discussed in dialog seminars different definitions of Engineers and many other things. I then came to think of what different types of engineers you see in a company – from the bottom to the top. This is my contribution… please find the top ten electronic staff stereotypes. Let us start from the bottom. The Positive Member Of Staff would be the fresh engineer coming directly from the university. Positive and eager to get going with the work. The smallest entity of the company. They are gathered and connected with each other to form more advanced systems. Putting only positive MOS together would be a risk, something more is needed. The Negative Member Of Staff would be the more experienced engineer who was started to see his projects being cancelled. Also one of the smallest entities of the company. They are gathered and connected with each other to form more advanced systems. Mostly combined with the positive MOS to form a more functional team. Putting all negative together would not form any interesting outcomes. The Less Valuable Staff are doing a lot of work. You just do not “understand” what they are doing. They are still engineers, but might work with more soft roles like quality and logistics. Among the other colleagues they are considered to be less valuable to the projects. In reality, they play an important role. They check that your projects pass through the quality checks and can be passed on upwards. The Annoyingly Desperate Colleagues eagerly want to travel up in the hierarchy. They convert into a new kind of engineer and slowly migrate away from the basics on different levels. They start to take management courses and roles requiring more “responsibility”. They see that they are getting older and want to reach up before they are old. Some of them pay less interest in keeping good relations with their colleagues. The Diligent and Attractive Colleagues can take more simpler instructions, such as specifications from the project managers and then convert them into more detailed plans and tasks for the other project members. They act as a filter between the upper and lower segments. The Pessimistic, Cynical, and Bitter colleagues can be quite dangerous. If they have strong influence on your group, they can spread their pessimism. These are the guys that never made it, the ones that had ambitions and career plans, but never really got there due to many reasons. Now, they try to still make an impression, but rarely they are happy. They get roles where they pick results from other projects and put them together. The Staff Finally Deserving Retirement are the seniors who do not care anymore. They are typically wandering around the corridors with a cup of coffee and attending meetings (for the free cookies). They are dangerous in the sense that they might show up in your cubicle/office and waste three of your valuable office hours. Beware when they start to talk about their sailing boats! They will distort your daily work! The Project-Leader Light is the deputy project leader/manager. He is a bit more ambitious and just a bit closer to the design work. He puts some extra hours in to keep the project rolling. He can sense the pace of the design team and given the input from the management team he can bring the project in phase again. Some Need a Rest. Some of the project leaders/managers are so overloaded and stressed by the fact that the projects do not progress fast enough. Typically they spend most time reporting, documenting and communicating. These guys are close to hitting the wall and usually need some more rest. The less energy they have, the worse the results will be. The Holy Distinguished Leader is now the senior engineer who essentially has forgotten the lab and circuit design. Effectively being the technical manager of the division. He steers the ship (chip?). At this level, you do not need to design with e.g. spice and other tools. Here, instead, you can just express the way your projects should be run through simple lines of text, processes, and functions. This is then compiled by someone else and distributed down the hierarchy. Well, jokes aside. Actually, some of the observations above are real and genuine. Why not think a bit about the situation you are in at your department? What kind of people are there? What do you want to become and by when? What makes him a guru? Why is he good? Summer vacations are on and it is almost empty in the corridors of my group (in the whole department actually). Swedes are trying to enjoy the few hours of sun and heat we may have. So, for some reason, Summer brings out the sloth amongst the Swedes, and since it is one of the deadly sins, why not talk about gluttony too? Here is my list of seven analog/mixed-signal dishes/food/pastries/what-have-you. You will probably find this list quite biased towards my taste which implies no fish and not that much dead stuff (that once had eyes). the Dammsugare, or Punschrulle, or Punsch-roll in English (apparently…). It is a pastry consisting of green marzipan with both ends dipped in chocolate. Now, to the nerdy part: it is also called a 150-Ohmer, since it has the brown-green-brown coding as the 150-Ohm resistor. A truly analog treat to go with the coffee! Btw, don’t you just love the posh, classy way of presenting the treats in this picture? Those nice candles and that glass plate. Inviting and cosy. I guess I am damaged, but when I was a child kind of just popped popcorn and ate them. Now, however, every time I do pop popcorn I cannot stop thinking of popcorn noise in semi-conductors. 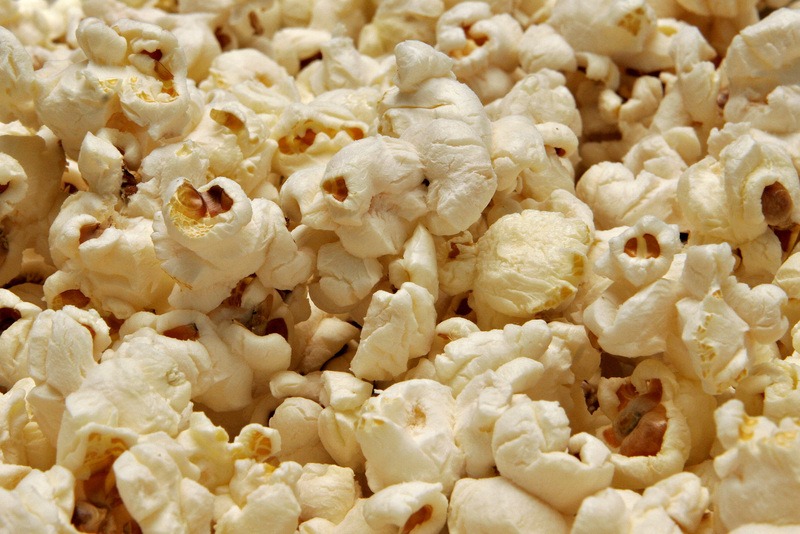 The way the popcorn appear popping randomly is just amazing… and also the way the time between popping increases towards the end. One would like to recording the sound and make some kind of statistical analysis. That would be research indeed. Alright, I admit – this is not a dish per se and the word has different meanings. First, the mixer (the tool) does come handy when cooking as a very versatile tool. And it does play a certain role in transceiver chains (well, not that kind of mixer, of course). Now, a Swedish reader might get confused – here we use the word “mixer” for a blender (or liquidiser in Jamie Oliver English). Secondly, a mixer is used for the drinks/cocktails. Rarely, I would go for a straight Vodka Finno-Russian style or a straight Gin and-I-do-not-know-what style. Something needs to be added: coke/tonic/juice, anything you might have in the fridge. After a hard-working week, laying out amplifiers, simulating phase margins, and running some physical verifications – it is worth relaxing with a white Russian or something like that. I like breakfast cereal in quite a few different varieties. So, considering the topic of this list – what on earth does cereal has to do with mixed-signal design? Well, in fact – naughty me . I name the nets and components in my designs “cereal” rather than “serial”. Great fun!? People tend to react a bit awkward and some dare to say “Errgh, erhm, perhaps you mean ‘serial’ on that net?”. Approximately the same reaction you get when you talk about numbers, like 33 and you say “Let’s pick that number – a prime number is good for that purpose”. So, take some sourdough bread, and slice up a pair of slices. Quickly grill/toast them to get the surface just slightly crunchy. Spread some butter on them, a couple of slices of roast beef. (A tip here is to cut them into some bite sizes to avoid any social blunder when chewing on the beef). Same with the lettuce. Then use a lot of finely chopped chives. You might need some kind of moisturizer to finalize it. Perhaps a dash of mayonaisse eventually resulting in an RLMC sandwich thus covering all circuit components(!) in one single sandwich. Psst, if you are a vegetarian, remove the roast beef and mayo to get an LC sandwich, but watch out! It might start to resonate with your digestive system. Actually, here I want to flag for the British version of chips, not the thin flaky snacks versions as found in rest of the world. (Chips as the rest of humanity knows them are called crisps in the UK). And with vinegar making them soggy… ah! Sweet memories from seagulls stealing your fish-and-chip by-the-sea. An homage to my two-year contract with Ericsson in Swindon, UK. Kind of obvious that this would take the list’s pole position, wasn’t it? Well, I guess the reasons are many. It’s wafer-shaped, it’s layered and it has a substrate. You can top it with (almost) anything you like, i.e., any IP goes on the pizza. There are yield issues, there are temperature variations, there are impurities in the tomato sauce, there are random distribution of chili flakes, etc. 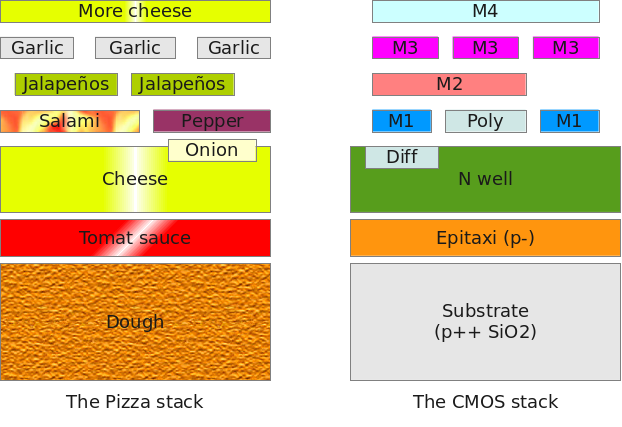 Btw, dependent on cheese deposition, the pizza is implemented with mostly PMOS or NMOS. Let’s take a look at the layer stack! Some of the pictures are used from Wikipedia and are released for public domain.